Tis the Season for kindness and understanding, and this post is a little different from my usual ones. 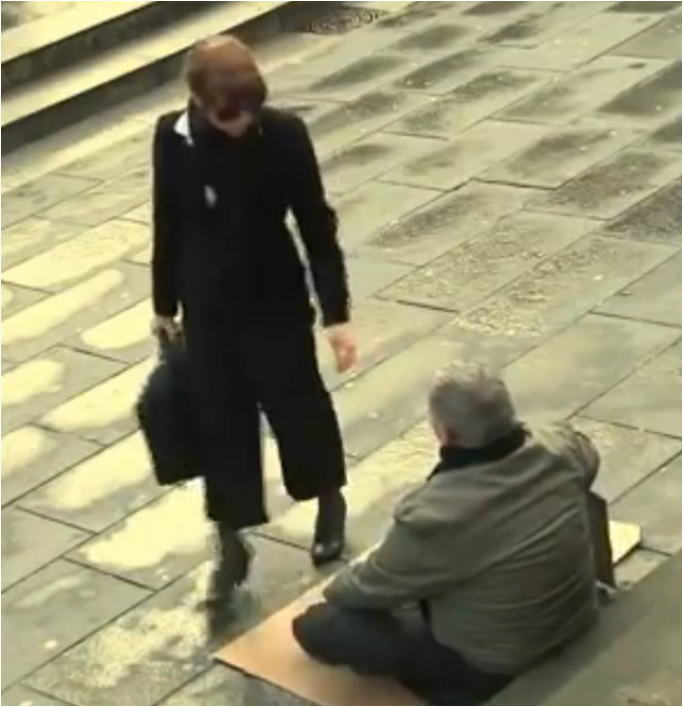 Regardless of your belief or faith, kindness transcends all…and I cannot help myself in forwarding a tale of how actions speak much louder than words. I hope you have a Merry Christmas, a Joyous Hanukah, and good tidings to you and yours. Good morning said a woman as she walked up to the man sitting on ground. It was mid December, and cold. The man slowly looked up. "Then, perhaps, a cup of coffee to go?" "Yes, ma’am. That would be very nice." "I got a job that very afternoon. I worked my way up. Eventually, I started my own business that, with heaven’s help, luck, and a lot of hard work, prospered, but it took me away for a while." She opened her purse and pulled out a business card.. "When you are finished here, I want you to pay a visit to a Mr. Lyons...He's the personnel director of my company. I'll go talk to him now and I'm certain he'll find something for you to do around the office." She smiled. "I think he might even find the funds to give you a little advance so that you can buy some clothes and get a place to live until you get on your feet... If you ever need anything, my door is always opened to you." There were tears in the old man's eyes. "How can I ever thank you?" he said. "Don't thank me," the woman answered. "To God goes the glory. He led me to you. To be able to pay back this debt. I was not sure until today that you were the person who had helped me all the many years ago!"